Plus, Suit filed against homeless shelter and navigation center, and the City Council is praised for eliminating downtown parking. 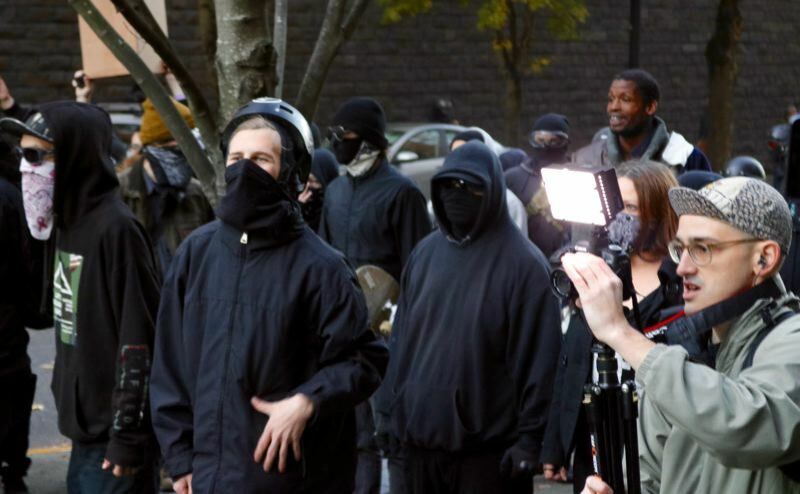 Although the local media reported only a few scuffles when Patriot Prayer and Antifa activists protested downtown on Nov. 17, the conservative national media nevertheless portrayed the clashes as yet another example of political violence in Portland. For example, the Breitbart website built a story around video of the dueling protests by Andy Ngo, a freelancer who has written op-ed pieces for the Wall Street Journal criticizing the police response to previous protests. "Anarchy in Portland: Shocking scenes as Antifa 'protests,' " read the headline on the top of the website on Nov. 20. A similar story on the PJmedia website two days earlier noted Ngo was harassed and threatened by the counter-demonstrators while recording them. It was headlined, "Reporter: Latest Antifa clash in Portland shows need for ban on masks at rallies." Portland writer and housing advocate Michael Andersen praised the City Council for planning to repurpose 1,000 downtown parking spaces and loading zones into dedicated bus lanes, a protected bike lane network, and better crosswalks, in a recent article for the Sightline environmental blog. The Central City in Motion projects were approved by the City Council on Nov. 15. "Though that's only 4 percent of Portland's central-city curbside spaces over the next 10 years — hardly a revolution — it's still a transfer of precious land from parking to sustainable transportation on a scale no other modern U.S. city has attempted yet," Anderson wrote about the projects when they were approved.